German rabbi; born at Lissa 1744; died at Berlin 1826. He was a pupil of Hirsch Janow. In 1771 he became associate rabbi at Lissa, and in 1784 was called associate rabbi to Berlin, where he was elected chief rabbi in 1800, receiving the title of acting chief district rabbi in 1809. He published no separate works, but his numerous opinions on questions of the Law, which prove the depth of his scholarship and judgment, are included in the collections of contemporary rabbis, as in those of Akiba Eger, Jacob Lissa, Salmon Cohen, Solomon Posner, Aryeh Löb Breslau, Ẓebi Hirsch Samoscz, Noah of Lubraniez, and Bendix Baruch Gompertz. 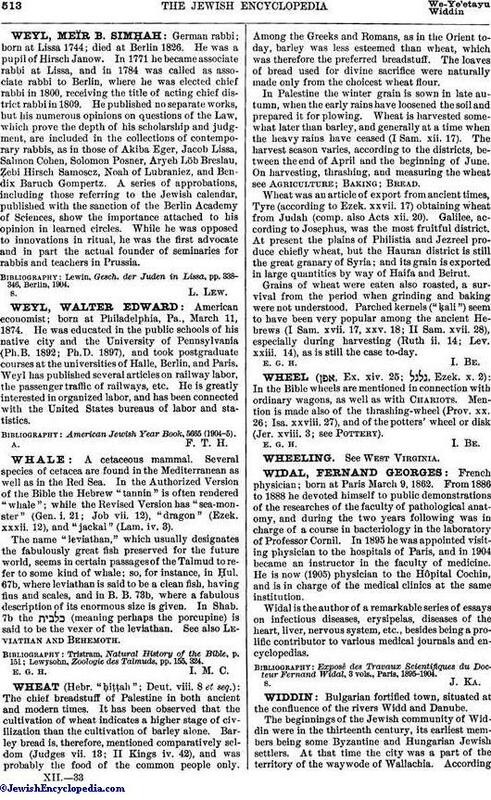 A series of approbations, including those referring to the Jewish calendar, published with the sanction of the Berlin Academy of Sciences, show the importance attached to his opinion in learned circles. While he was opposed to innovations in ritual, he was the first advocate and in part the actual founder of seminaries for rabbis and teachers in Prussia. Lewin, Gesch. der Juden in Lissa, pp. 338-346, Berlin, 1904.